I have finally found some time to finish, and post about week 6. I was hoping to get this all done over the weekend but I wasn't feeling up to it. Did a whole lot of nothing over the weekend and it must have worked, because I am feeling much better now. Didn't take a whole lot of pictures this week, other than on Wednesday when I did a day in the life. So it was kind of a stretch to get this week done. Thank goodness for my iphone. 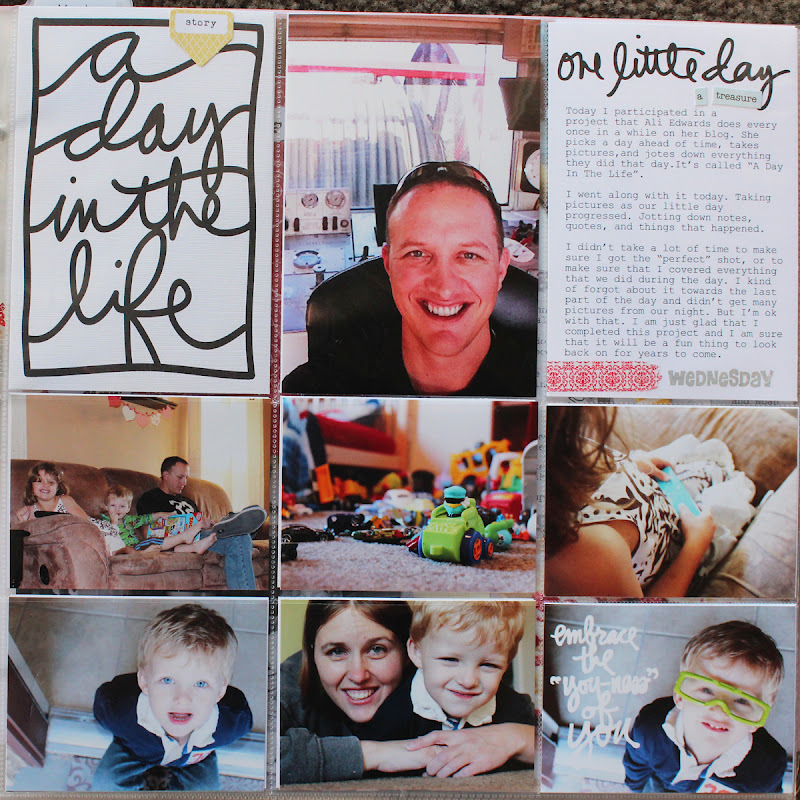 Also borrowed some from my day in the life pictures to cover the week. I think Patrick had my camera on Monday or Tuesday or both that is why I didn't take very many. Oh well. 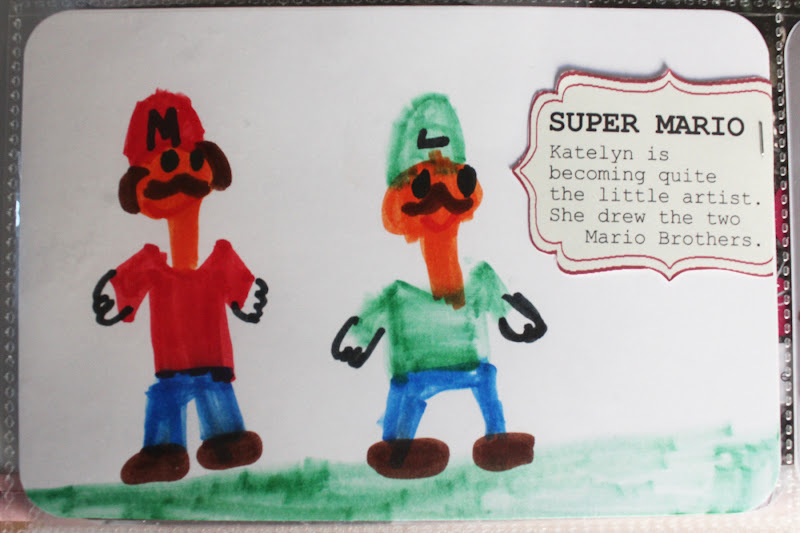 Katelyn has been doing drawings of scenes from the Mario Brothers, that is their current obsession. 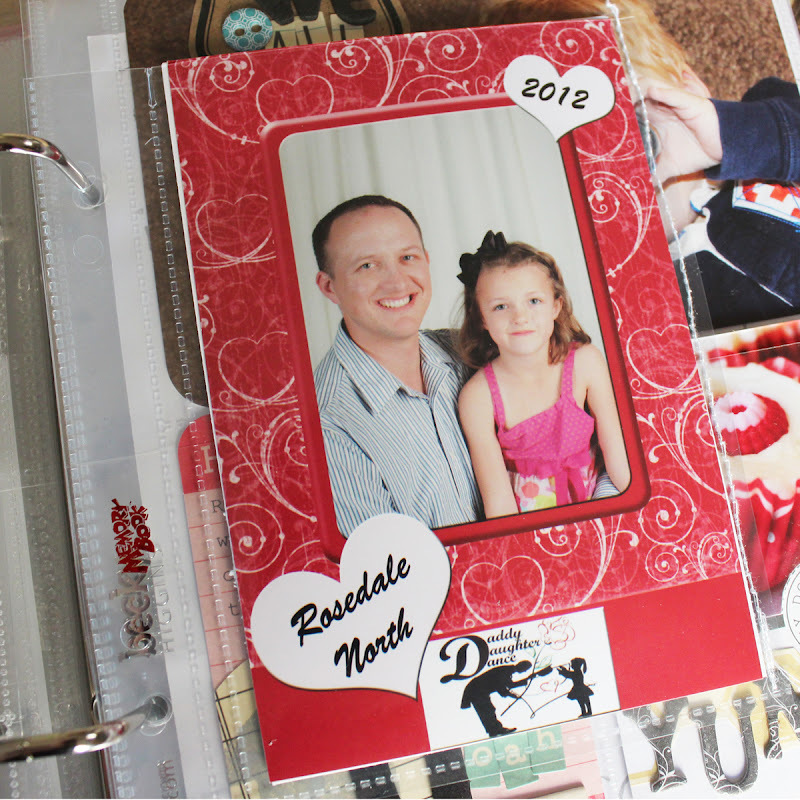 Journaled on it, printed it out and then used Tim Holtz's Tiny Attacher. Love my new toy !! 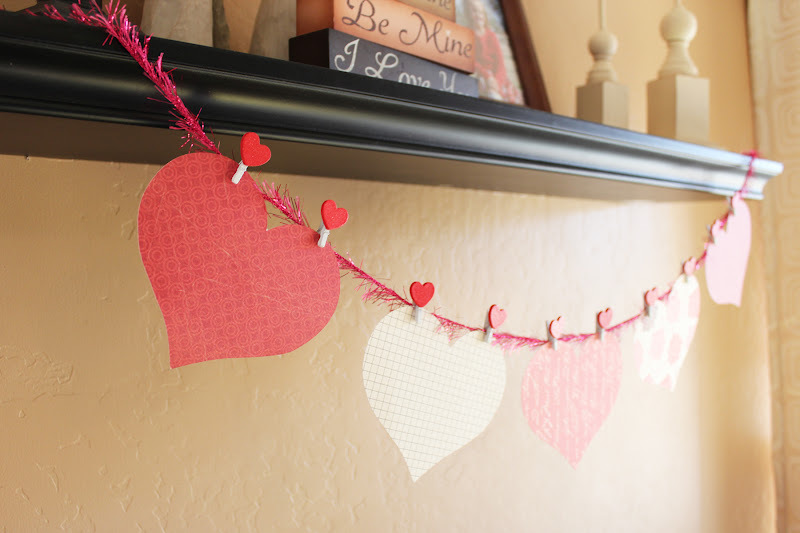 Banner stickers and Date sticker from My Minds Eye (the new follow your heart collection). 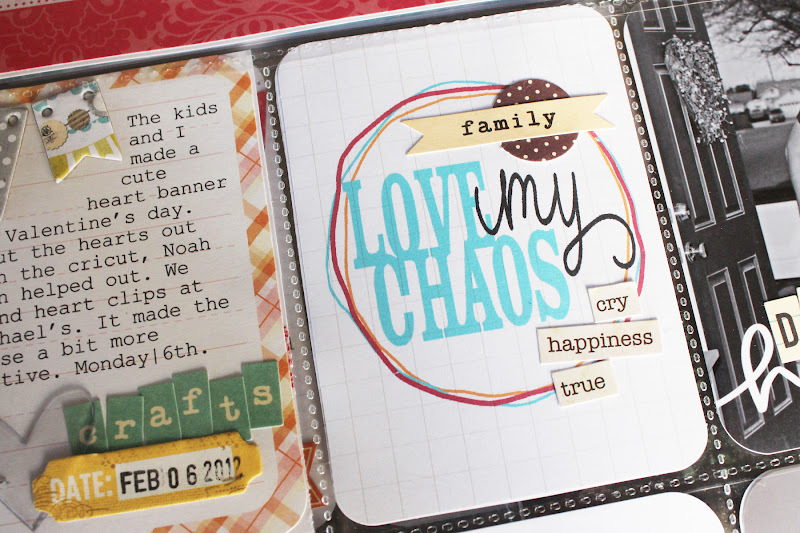 The Love My Chaos saying is from the Colbalt Digital Extra Elements. I changed the colors to match the Clementine colors. Love this saying because that is how I felt this particular week, it was all chaos. It usually is though. Picture didn't turn out so well but I wanted to include it anyways. This is always the scene when daddy comes home !! 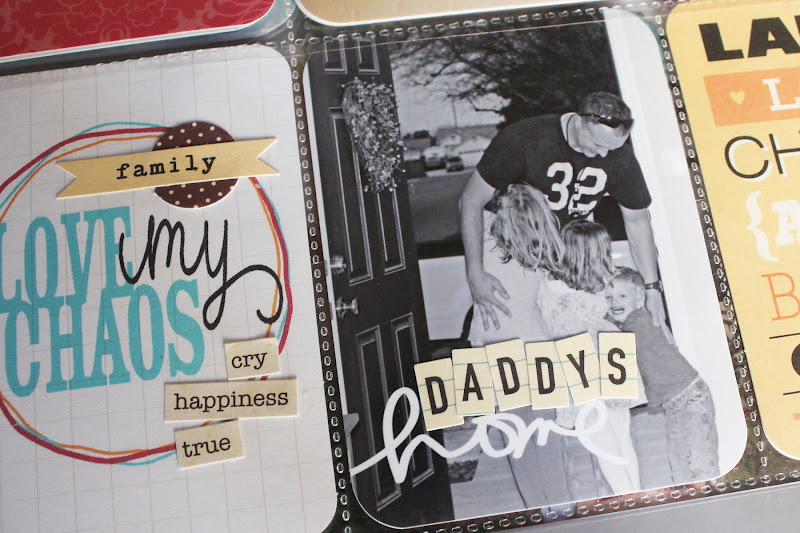 Word home is from Little Bit Of Messy Home Brushes And Stamps . This week I played along with Ali Edwards and did A Day In The Life on Wednesday. 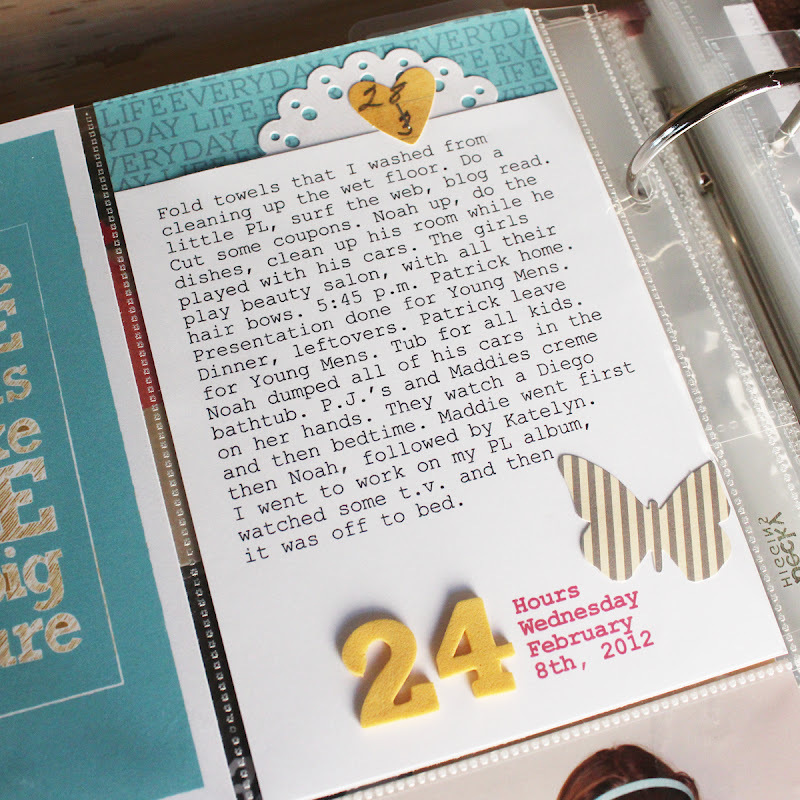 I used a Becky Higgins Page Protector Design B.
I used the Ali Edwards "A DAY IN THE LIFE" freebie. Click here to download from Ali Edwards site. Added the story tab from Teresa Collins new line. This card is on the other side of the picture on the top of the page. Used I Heart Stories Brushes And Stamps . 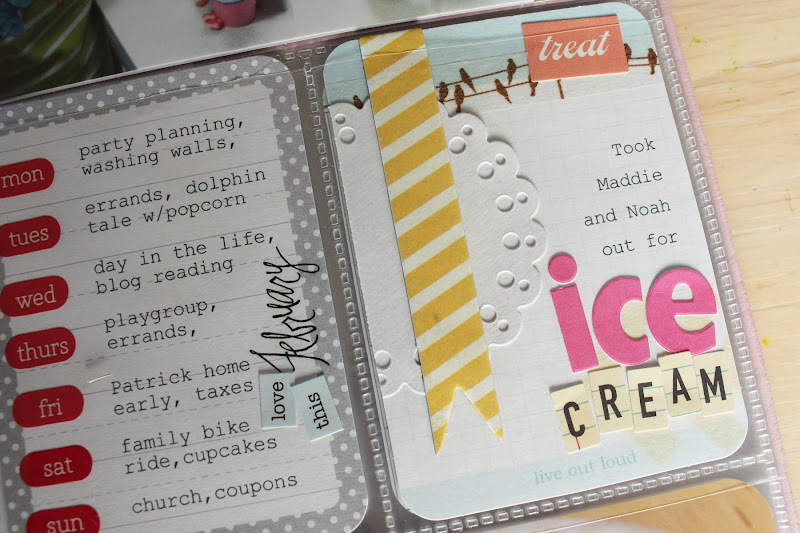 Washi tape on the bottom and a Wednesday stamp. 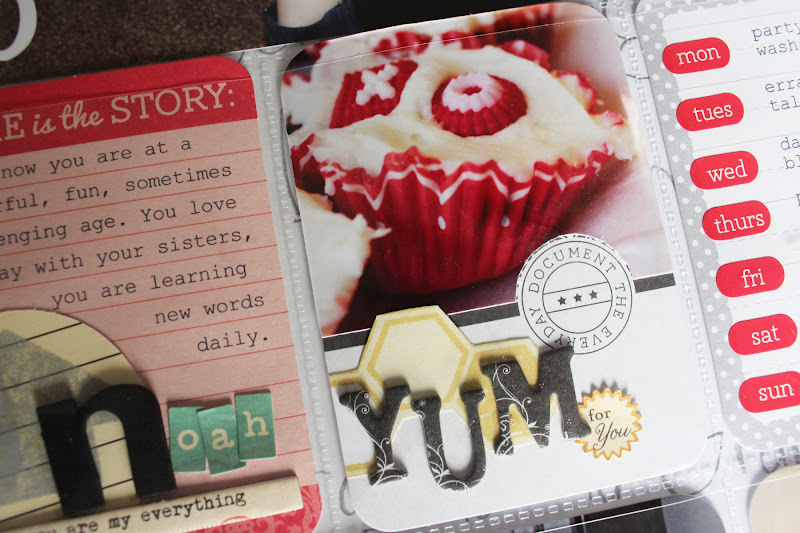 Used brush from I Heart Stories Brushes And Stamps. The second card on the top of the page. This is a freebie from here. I resized to 4x6 and I changed the color of the background to the blue that is in the Clementine kit. Left the letters the yellow, it turned out great. This is the last card that is on the top row of the page. Printed out a strip of the digital paper from the Clementine kit. Doilie from Martha Stewart. Heart from October Afternoon Farmhouse. Yellow numbers are thickers. I also included another insert this week. Katelyn and Patrick attended a daddy daughter dance at her school. 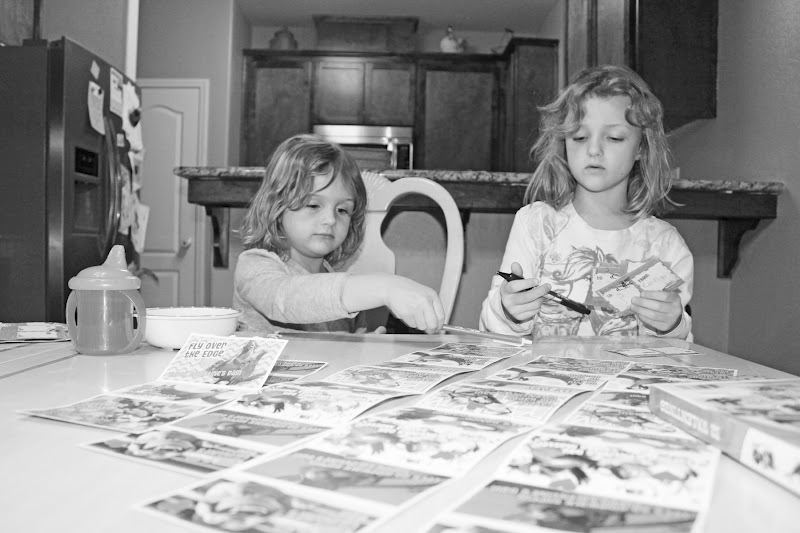 They were sent home this picture. It was 4x6 so that I used a 6x6 page protector and stiched the side up. 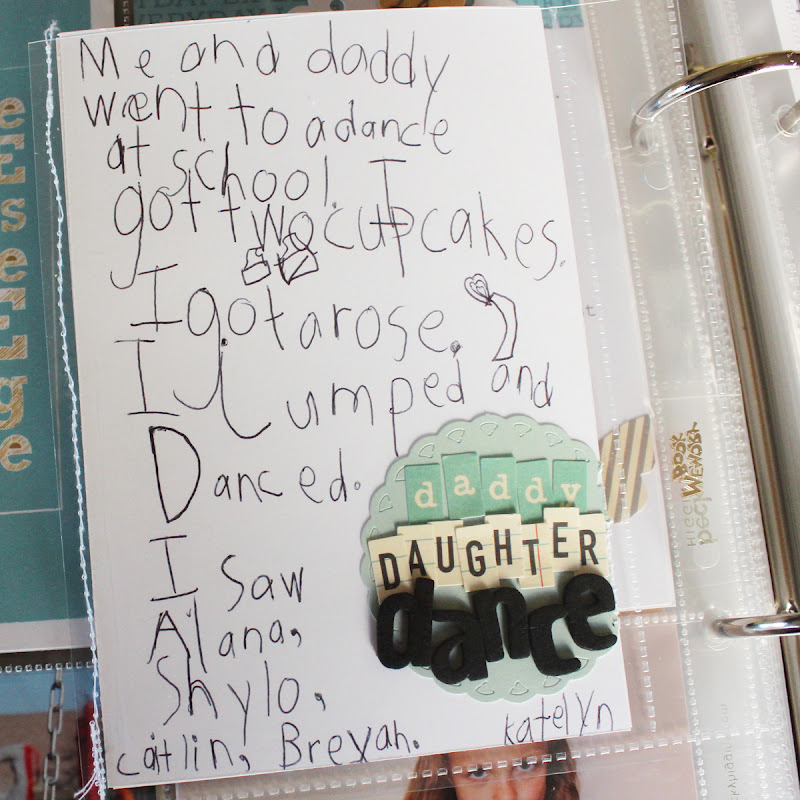 I wanted to have katelyn write some journaling about her night out with her daddy. 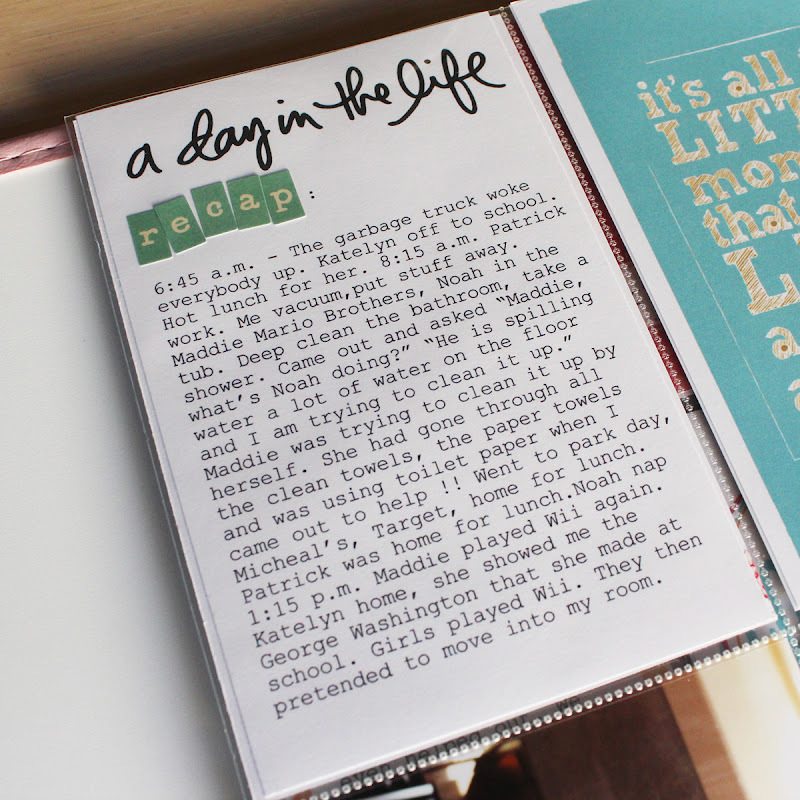 So i added the title to 4x6 cardstock and helped her write what she did that night. So fun !! Tag from Maya Road. Brush from You Are Awesome. 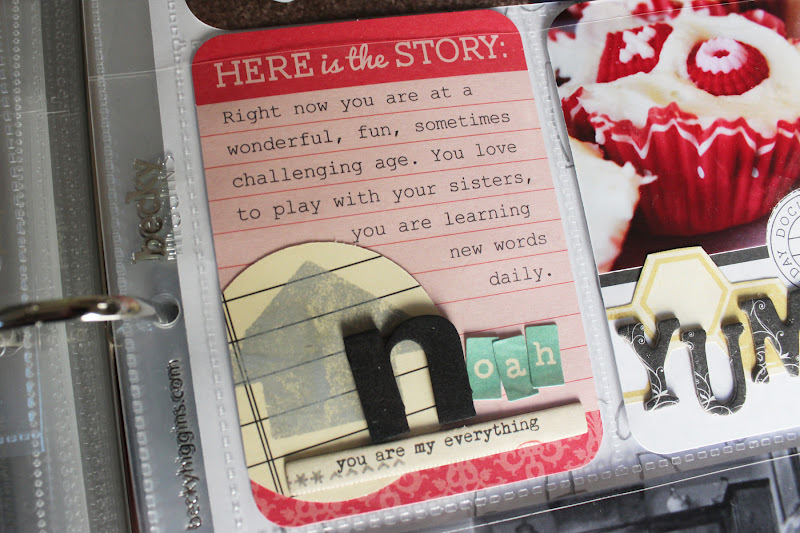 Used the top part of one of the journaling cards from the core kit. Stamped the date on the top of the card. Stamped an arrow on to the circle. 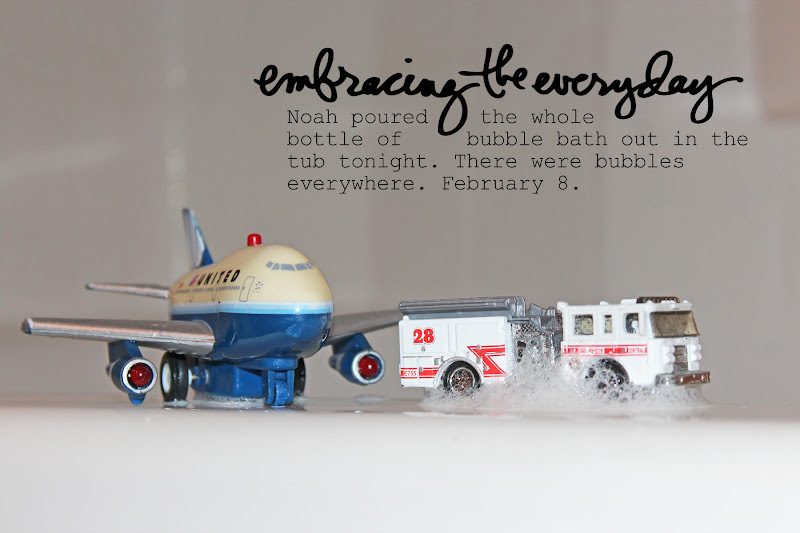 Used a thicker for the N in Noah's name. 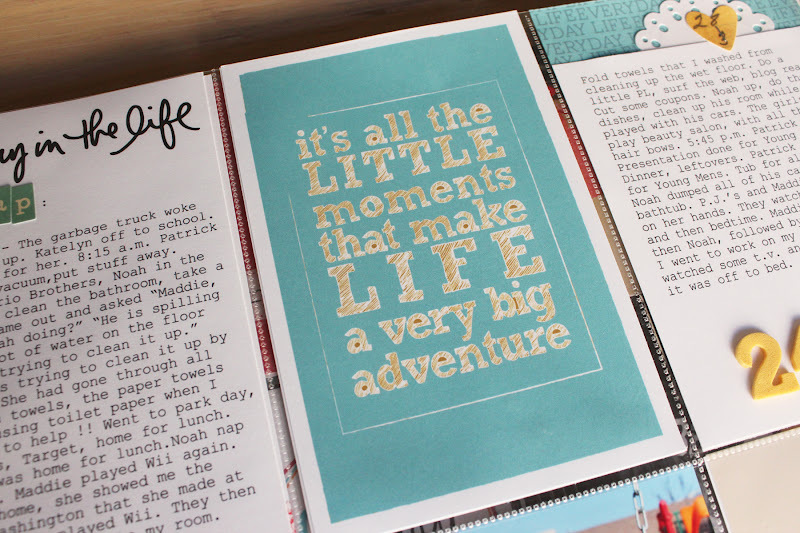 The bottom chipboard piece is from My Minds Eye Follow Your Heart line. Took one of the filler cards from the core kit. Put the picture directly behind it and cut out the circle so that when I put the pictures onto another one of the same filler cards the circle would show. The yellow paper is from My Minds Eye Follow your heart. 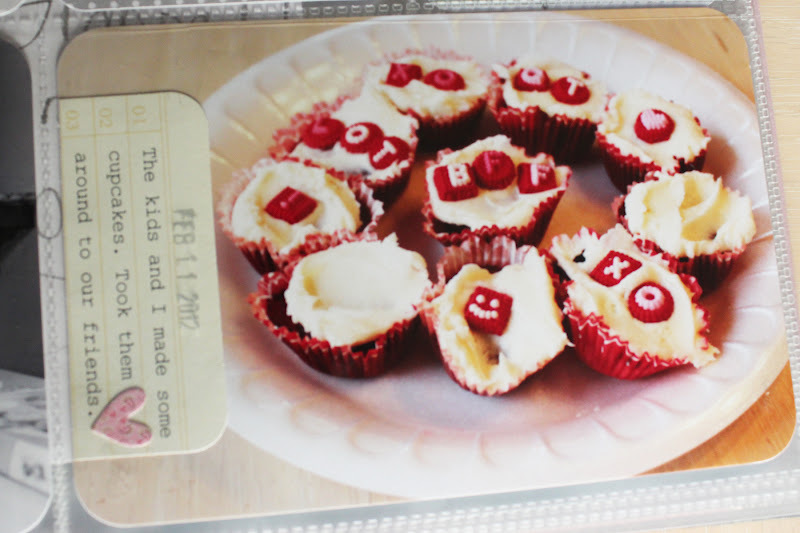 We made cupcakes for some of our neighbors/friends. 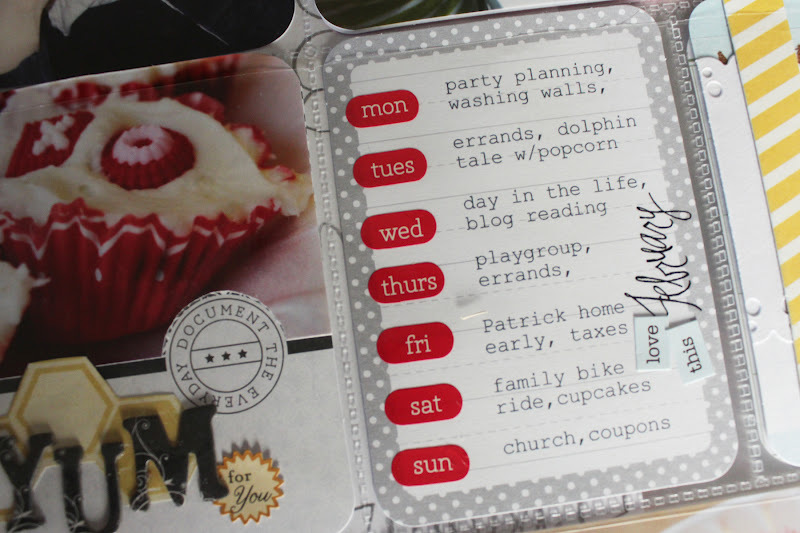 Used the days of the week stickers that come in the core kit for a week in review card. 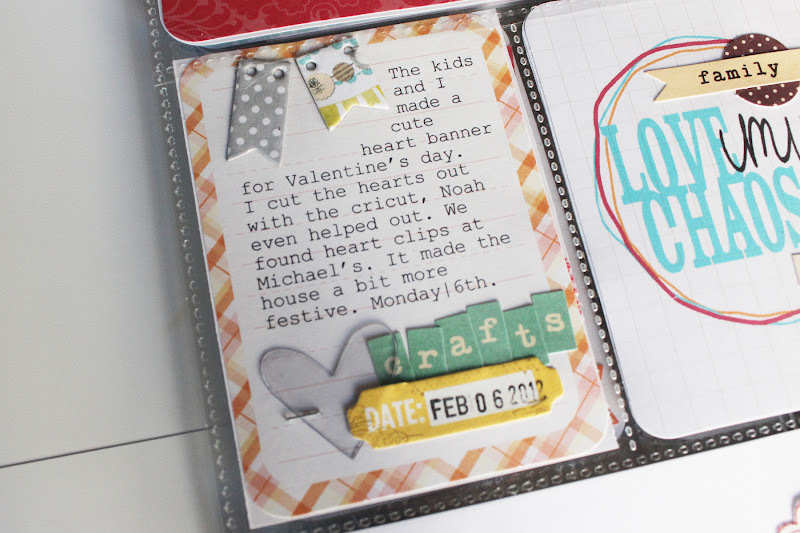 Added the February rub on and some word stickers. Bird Washi Tape. 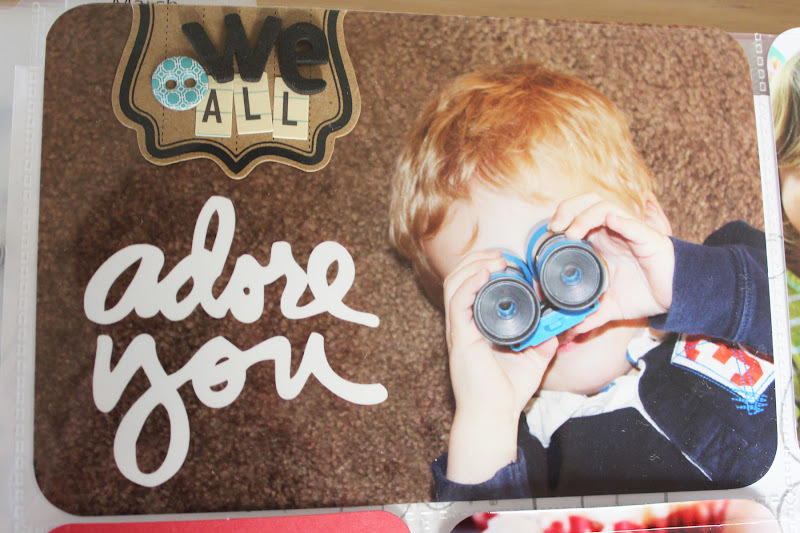 Treat sticker from Dear Lizzy's new Neapolitan line. The yellow banner is from My Minds Eye. 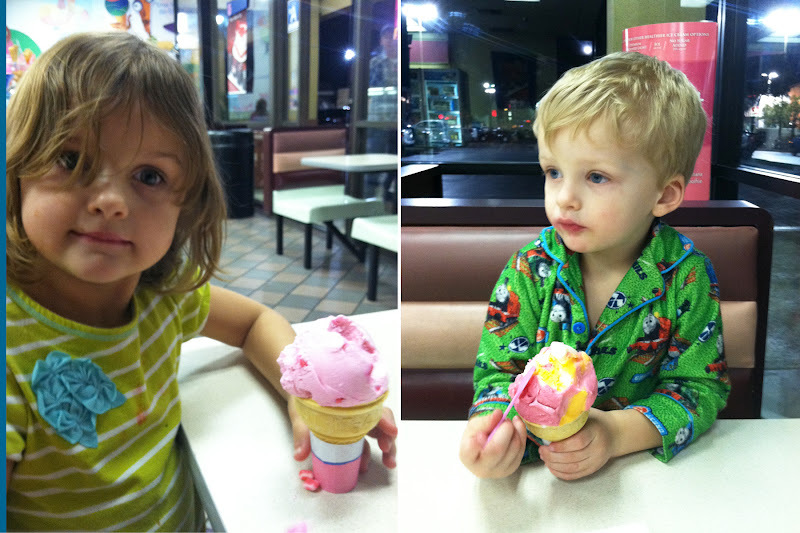 Took Maddie and Noah out for Ice Cream on Friday night while Katelyn and Patrick went to the dance. Whew !!! That is all of Week 6. I feels good to have that done. Now I just need to start last weeks !! 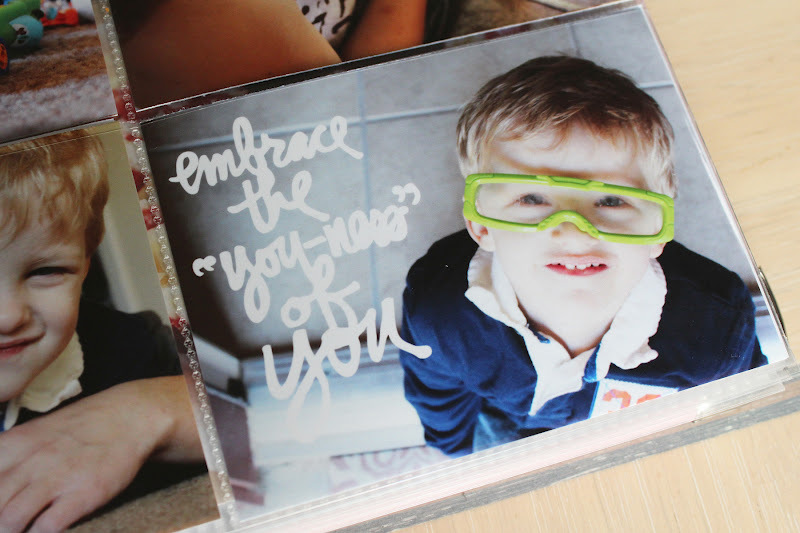 I also can't wait for my new page protectors to come in the mail. I was one of the Amazon stalkers on Friday that sat glued to my phone, hiting refresh every few minutes so that I could make sure that I got my order in !! Was anyone else doing the same thing. It was crazy !! 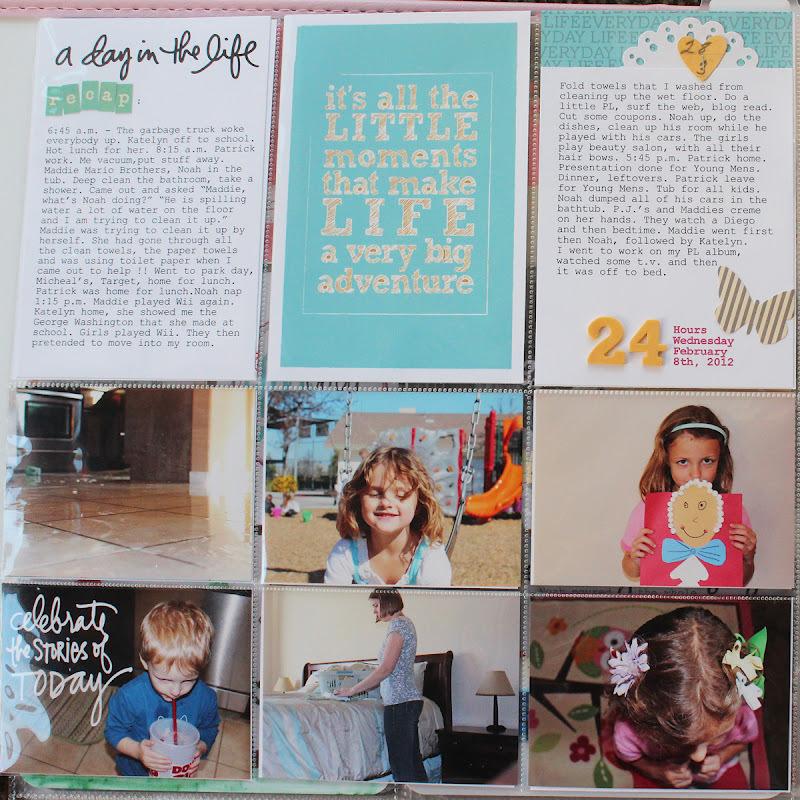 But my journaling cards will fit a lot better in the new protectors. Well, good bye for now. We are heading on a bike ride to the park. [Swoon!] Week 6 was well worth the wait! Very creative, crafty and colorful. 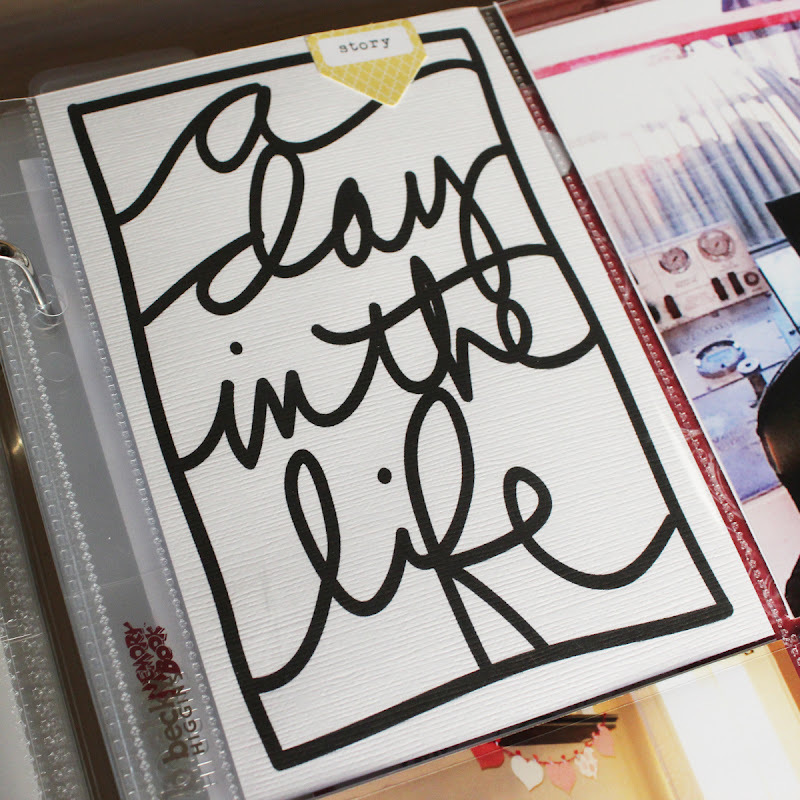 LOVE your week, all the little details and your day in the life was perfect! 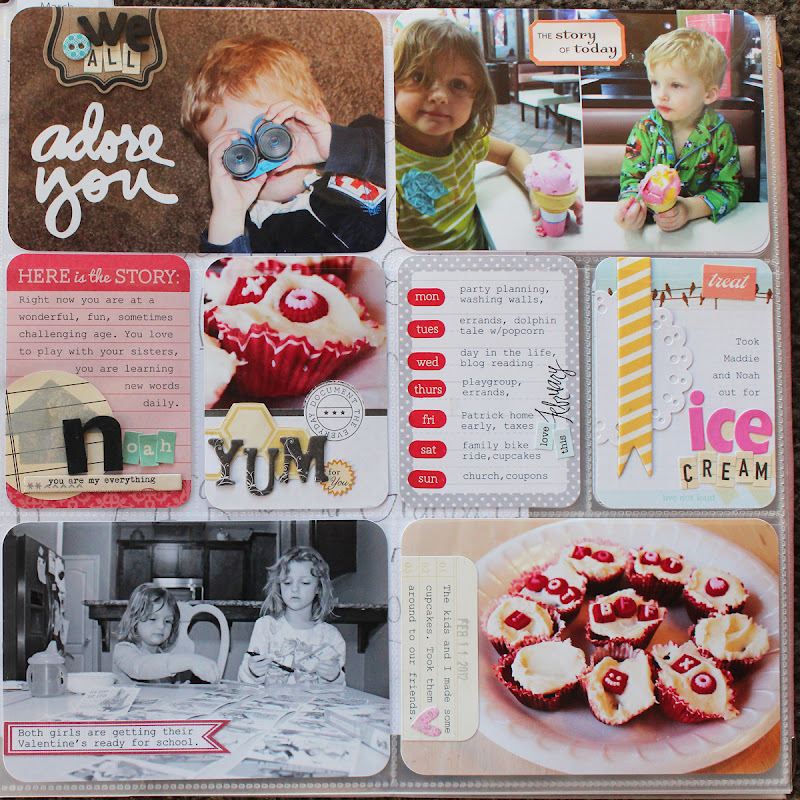 GORGEOUS layouts!! 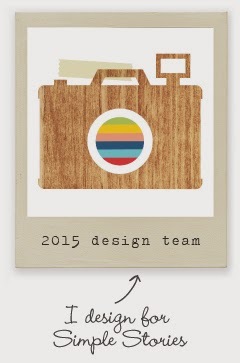 I absolutely love your little itty bitty stapler...thinking I NEED one. Another great layout. I was also stalking amazon and cannot wait for the new protectors, hate last years, they keep ripping, but love new ones. Ordered lots of stuff in four separate orders, but better than not getting it I figure. 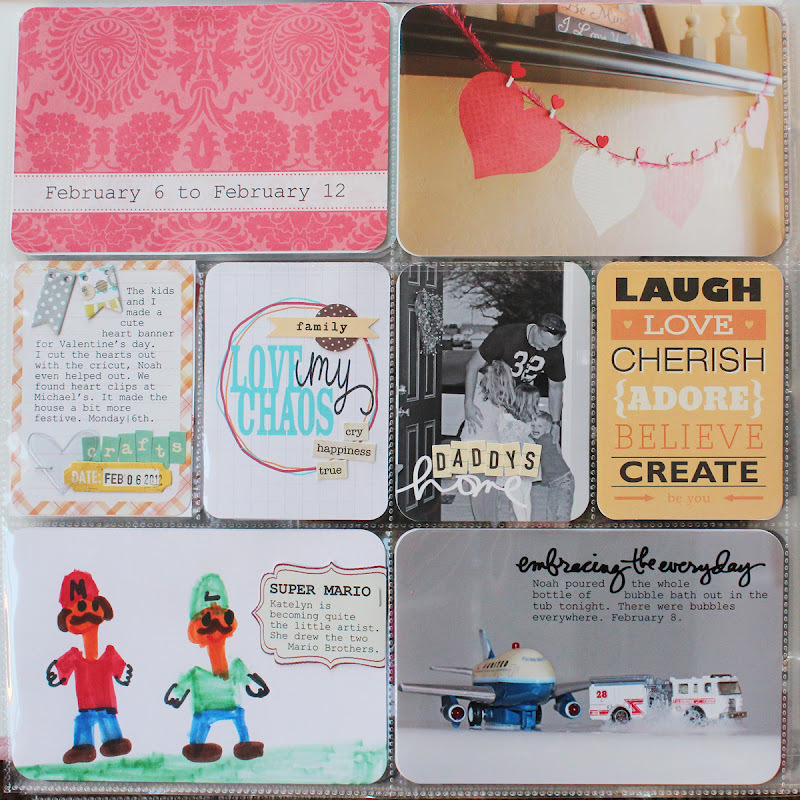 Got one order today: two new boxes of gridded journaling cards, yippee! Hello! 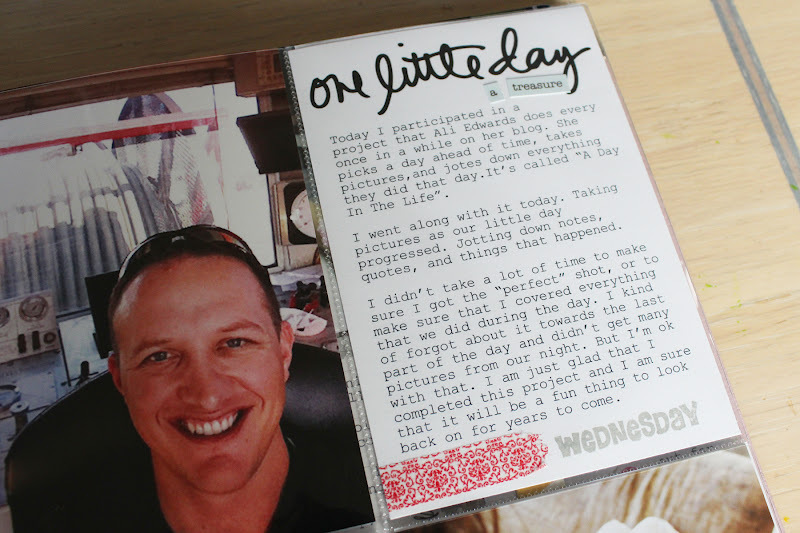 just discovered you and LOVE your take on Project Life, so simple yet stunningly effective. I just have one question - how do you recolour the freebies you download? I used Photoshop 7, and amd still learning, so would love a tip if you've got the time? I opened the pdf in ps, but when I tried to recolour it filled out the entire area. Am i just being doff? Thank you all for you great comments !! They mean so much to me. HUGS to you all ! Shayne - I am always here to help if you ever need anything. Most things you can recolor using PS. Pick your new color using the eyedropper tool and then use the paint bucket tool, it looks like a paint bucket spilling. Simply click on the one area you want to recolor and it's done !! Let me know if you need anything else. Hi Mindi. Thanks so much for your help - i did it! You're a star and thanks again for the inspiration - you've gotten me back on track for PL!